Fortnite players are always trying to perform tricks while winning Victory Royales to share around the internet. 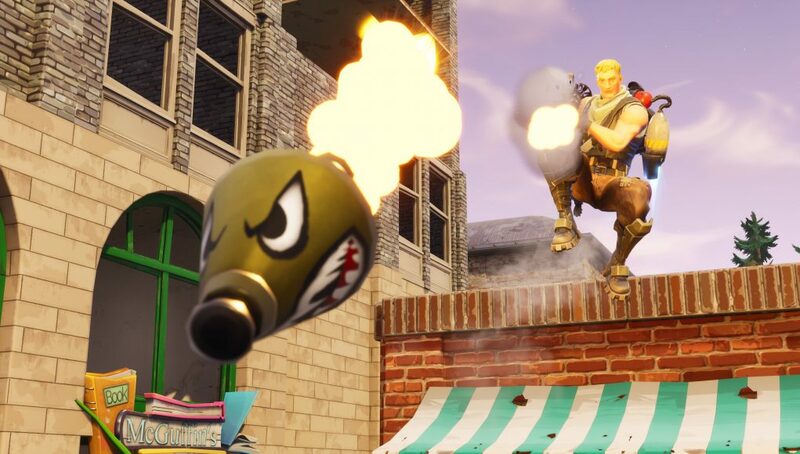 One of the most popular Fortnite tricks is rocket riding, which includes a player standing on top of a fired rocket. Youtube is full of tricks like rocket riding snipes, zip line shots, airplane one-pumps, and more. One duo shared their clip on Reddit where they managed to pull off not only an impressive snipe but an even more astonishing win. xBazerk and Naive Niq are standing in front of a Port-a-Fortress and set up for a rocket ride into a bounce pad. The player’s rocket ride into the bounce pad, rocket ride again, and Bazerk uses a Heavy Sniper to eliminate the last opponent for a Victory Royale. The clip shows an incredible amount of teamwork, precision, and skill. Have you pulled off any cool tricks while winning a game of Fortnite Battle Royale?